Tizanidine is a short-acting muscle relaxant, prescribed mainly for reducing pain associated with multiple sclerosis, ALS or spinal cord injury. The primary use of tizanidine is to relieve increased muscle pain and muscle tone associated with multiple sclerosis. It is usually prescribed for medicinal purposes but it is taken as overdose and frequently abused. Tizanidine is commonly available on the market with brand name Zanaflex. Tizanidine can be taken orally as it comes as tablet or capsule form. It should be taken two to three times daily with or without food. Alcohol consumption should also be avoided while taking this medication. Tizanidine should be taken as directed and should follow as per indications given on the label. It should be noted that Tizanidine works on the central nervous system rather than the skeletal system, therefore, it has a more abusive tendency. It works by slowing the actions of nervous systems and the brain thereby relaxes muscles more easily. It enhances the presynaptic inhibition of motor neurons and reduces spasticity. What is Tizanidine prescribed for? Tizanidine is used for the treatment of multiple sclerosis, the condition in which nerves of the body do not function properly. Main symptoms of multiple sclerosis are numbness, weakness, bladder related problems, vision, loss of coordination and speech. Usually, Tizanidine is prescribed to treat patients who suffer from spinal injury, stroke or brain injury also, where it relaxes muscles or nerves of the body. It helps to relieve pain arises from nerve injuries and help to produce a sound sleep. Tizanidine is not a commonly abused medicine and it is not abused by the one, who do not need any medication. Sometimes it is also used as a sleeping remedy. 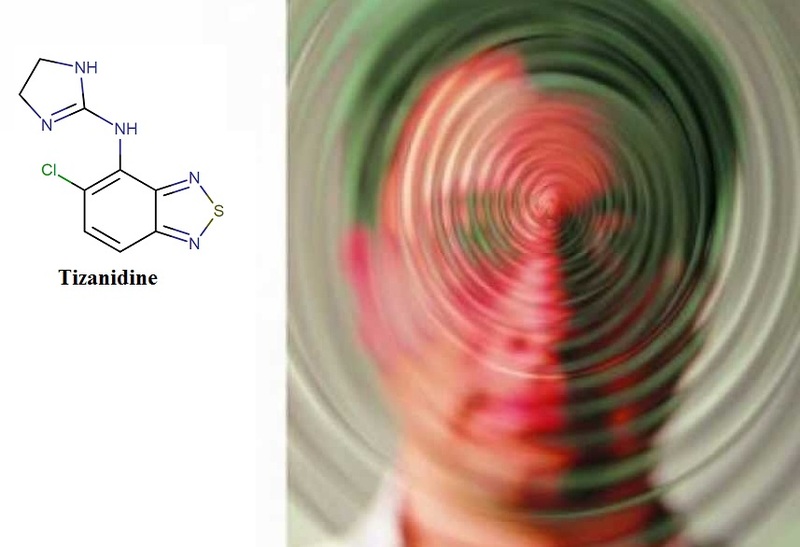 Tizanidine is closely related to clonidine that is commonly abused along with narcotics, which shows serious withdrawal symptoms upon cessation of the drug. People increase the dose of tizanidine themselves in order to achieve prompt relief and certainly develop the addiction. Tizanidine is a potent muscle relaxant but it works in a different way than the other relaxants medications available in the market. Primarily it is used for specific spinal injuries, brain injuries or multiple sclerosis but people who use to have much higher doses than recommended mostly carry out its abuse, which is highly contraindicated. Anybody who is using tizanidine in an abusive manner or in a dose that is not recommended can expect to develop physical dependency and addiction. You should consider any contraindicated (off – label) use of this medicine as Tizanidine abuse. Use of alcohol along with administration of Tizanidine also contraindicated because Alcohol increases the absorption of Tizanidine thereby enhances the level of drug in the bloodstream. If taken together, Tizanidine and alcohol can cause additive effects such as memory loss, loss of sight, confusion, drowsiness or difficulty in breathing. So the use of Tizanidine with alcohol should be avoided. If you took both together, you should avoid driving or should not work on heavy duty machines. Does Tizanidine produce withdrawal symptoms? 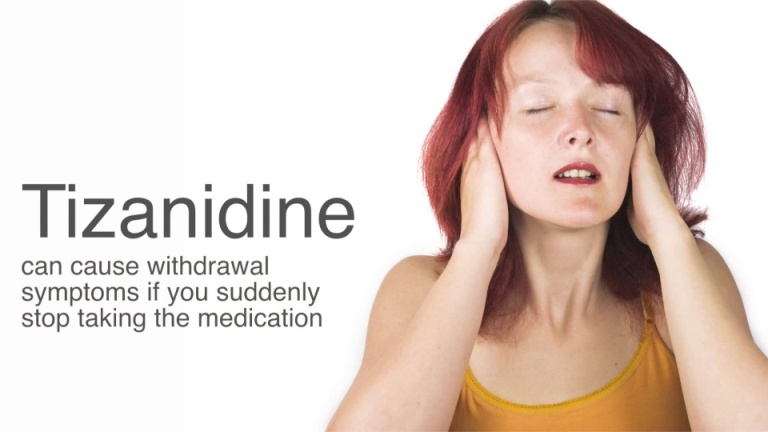 Withdrawal symptoms arise when patient sudden stop the intake of the Tizanidine. When you administer a medicine like Tizanidine for longer periods, it results in the formation of physical dependency. As a result of physical dependency, your body will need more and more Tizanidine in order to get prompt and similar effects that once you received with this medication. These symptoms can be more prominent if not treated timely. The withdrawal symptoms can be avoided by stopping the drug slowly instead of stopping at once. Such withdrawal symptoms are not necessarily harmful but they can disturb the lifestyle of the patient and creates the uncomfortable situation for the one who is suffering from the process alone. A very few people are lucky to cease the drug addiction by themselves but for many people, the drug withdrawal symptoms are so severe that force them for taking the drug again and thereby preventing them from getting the help they need. How abuse of Tizanidine can be treated? First, you should consult with your doctor and seek for the best treatment for you. You may need to undergo a detoxification process under the supervision of a medical expert team all the time. Do not try to leave this medicine abruptly. Detoxification process should never be performed without the supervision of medical service providers because it may prove dangerous for you both physically and physiologically and can result in serious withdrawal effects. Notify your health care provider regarding your Tizanidine dependency as soon as possible as it may prove fatal and disturbs your lifestyle with every passing day. Do not underestimate the value of professionals help that they can provide. There are no better people who can help you to get back on track as they have seen almost every stage addiction at every level. Being honest about your situation is an important step in going well. You have to work yourself to make changes in order to get rid of this addiction. How long Tizanidine stays in body? Tizanidine has half-life of 2.5 hours and its metabolites have 20 to 40 hours half-life. Therefore, Tizanidine stays for three to six hours inside your body and shows maximum effect during second and third hour. The dose of tizanidine should be repeated after every 8 hours and it should not be taken more than 3 times a day. Does Tizanidine show up on home drug test? No, Tizanidine will not show up on a drug screen because it does not come under narcotic drug category. Medical service providers test for on a drug screen is for cocaine, narcotics such as morphine, valium, xanax etc. 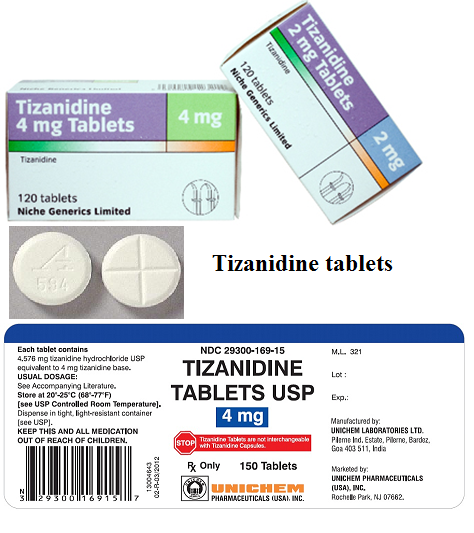 Tizanidine is a lipid-soluble medicine and is less likely to dissolve in water and methanol. Therefore, one cannot rely upon dialysis only for removal of this drug from the body. Tizanidine overdose shows consistent clinical manifestations. It showed decrease in sensorium including lethargy, somnolence, confusion and coma. Tizanidine overdose can also lead to depressed cardiac function including hypotension and reduced heart beat (bradycardia). It also seems to cause respiratory depression. Usually symptoms of Tizanidine overdose disappear in one to three days following discontinuation of this medicine.